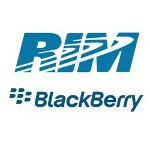 The recent BlackBerry outage lasted for four days, affected users all around the world, and was a big hit to RIM's image. Customers were obviously very upset with the interruptions in service and now RIM has outlined the compensation package it will be offering for the troubles. The compensation package comes in two parts, which seem to have two very different aims. RIM will be offering one month of free tech support, which won't mean much to non-enterprise users, but for companies with a lot of BlackBerries deployed, that could be pretty sizeable. For those already signed up for BlackBerry Technical support services, there will be an extra month added to your subscription. For others, it will be a month free trial of the service. The other offer is directly aimed at non-enterprise users, and that is a collection of free apps which could be worth over $100. Of course, BlackBerry apps are the most expensive around, so that may not be many apps all told. RIM has said that some of the apps which will be offered will include: SIMS 3, Bejeweled, N.O.V.A, Texas Hold’em Poker 2, Bubble Bash 2, Photo Editor Ultimate, DriveSafe.ly Pro, iSpeech Translator Pro, Drive Safe.ly Enterprise, Nobex Radio™ Premium, Shazam Encore, and Vlingo Plus: Virtual Assistant. That's certainly a pretty solid collection, especially Vlingo which of course has been doing many of the the same "world changing" things Siri is for the past 7 years or so. The free apps will be available through BlackBerry App World starting Wednesday October 19th, and will run through December 31st. There will be more apps added to the free selection over the next few weeks. Love the snipe on "Siri" here. Glad im not the only one to find it redundant. Siri is though very good though better then all previous voice recoqnition software.